So the original title of this post was supposed to be Fabulous Free Find Friday but as I mentioned I was not at school on Friday (or Thursday for that matter) and I did not have all my pictures ready. So it is Fabulous Free Find....Monday. 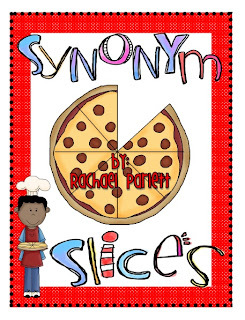 My grade 4's were completing their CASI reading assessments (a reading passage and comprehension questions assessing knowledge, application, thinking) and a couple students said "What's a synonym?" and I closed my eyes and counted to 10 and then still said "What do you mean what's a synonym?" - no I didn't, but I wanted to. So time for a refresher. I thought I could make something then I remembered Amanda and Stacia had a synonym freebie so I went looking for more- first I tried Pinterest where I found some fabulous anchor charts (free idea #1). 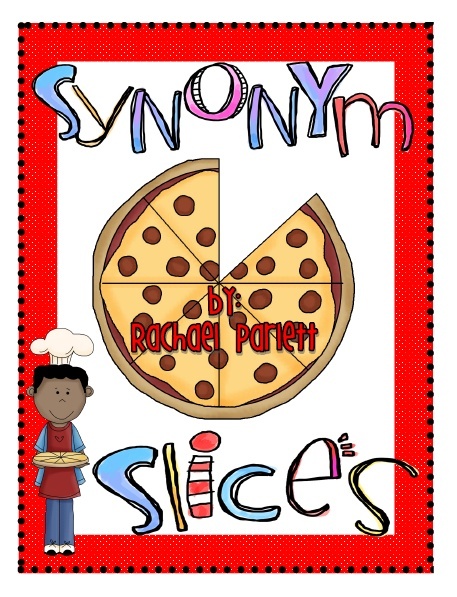 After making the anchor together we used this free activity from Rachael Parlett (#2). 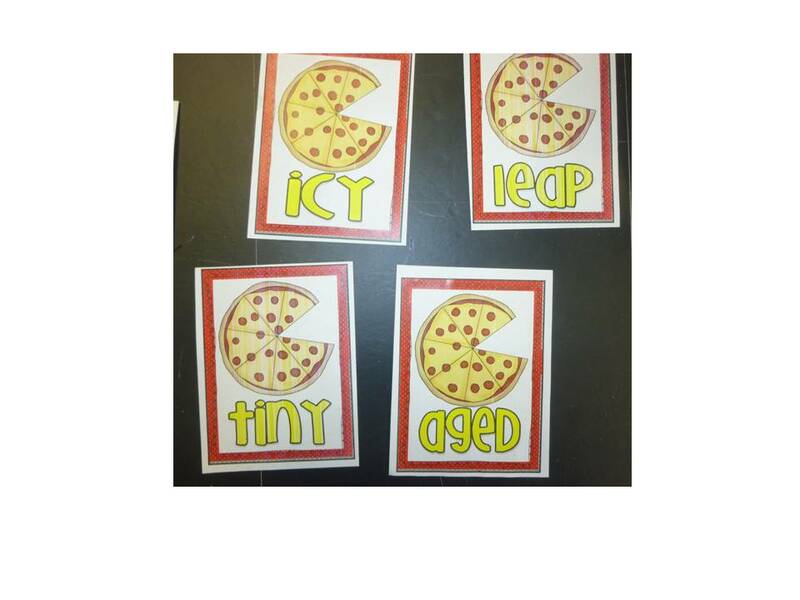 I cut apart the pizza words, placed them around the classroom and sent them off to find synonym pairs. 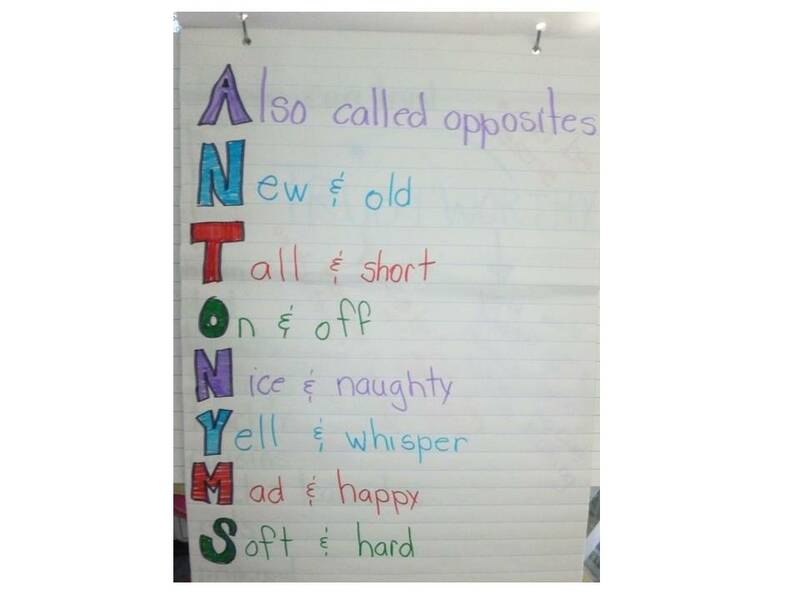 Some words were a little tricky but they loved it. We put the answer sheet up on the Brightlinks and they filled it in! 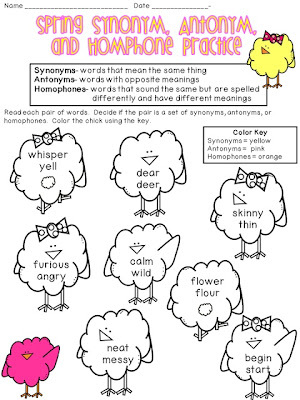 After making the anchor chart and reviewing synonyms we used this free activity from Brooke Hilderbrand (#4). 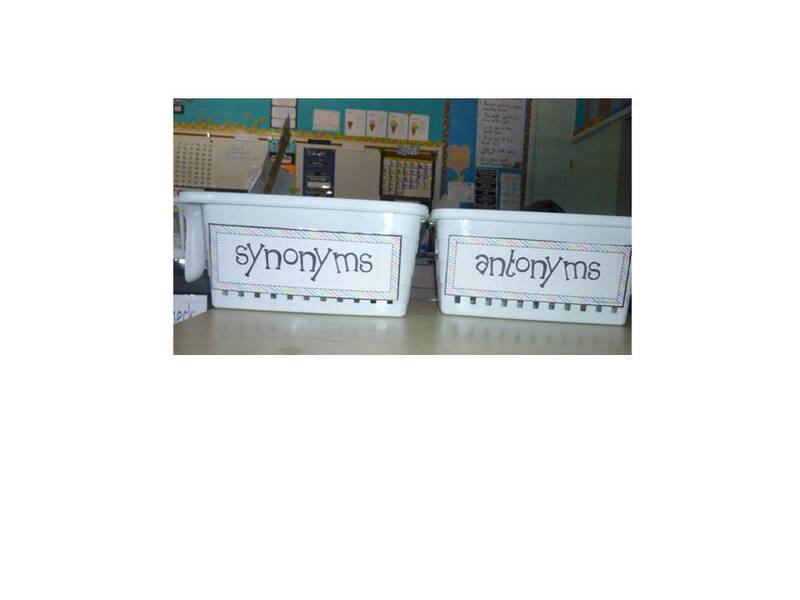 I taped the labels on to baskets and handed out the cards and they had to read it out loud and then say what basket they were putting it in. Then I gave them the blank cards to write one pair for each basket. 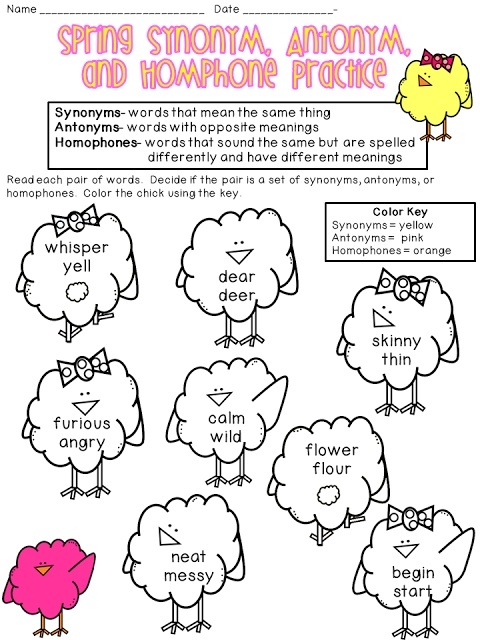 We reviewed our synonym and antonym anchors and then I sent them off to complete this free activity from Amanda and Stacia at Collaboration Cuties (#6). 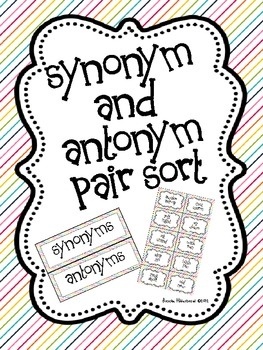 That's it, 6 fabulous free finds to teach/review synonyms, antonyms and homophones! Such great finds! Thanks so much for sharing. My kiddos can always use more practice. Thanks for all of the great resources! Sounds like you did a great job reviewing synonyms, antonyms, and homophones. 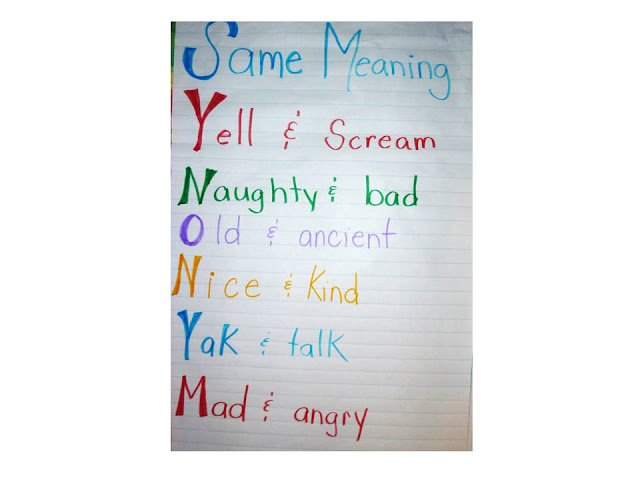 I don't think any of your students will be asking what they mean again! What a great post!!! I love it!! I think this is a great idea...this kind of post!! Pinning it! Thanks for all the freebies! 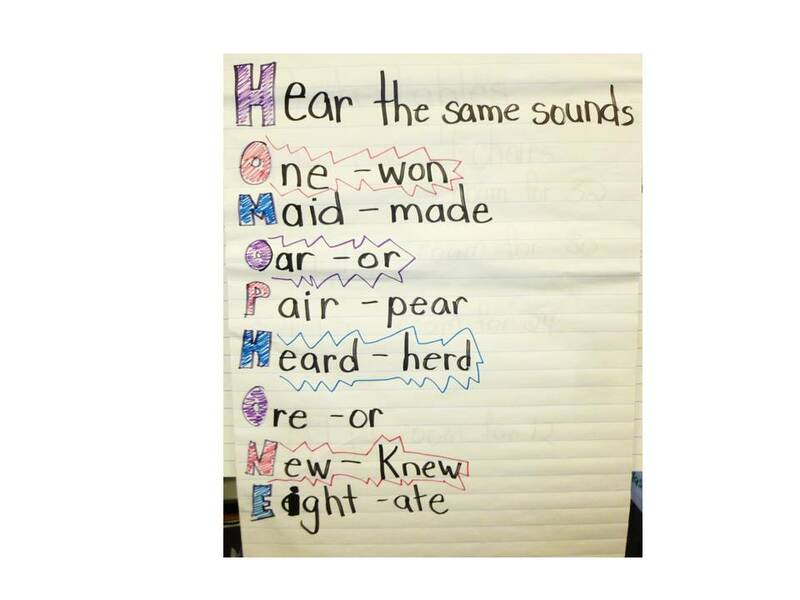 I love the homophones chart....my kiddos always have a hard time with that one.